Vinyl and linoleum flooring are top choices for homeowners who want a fresh look at a reasonable cost. 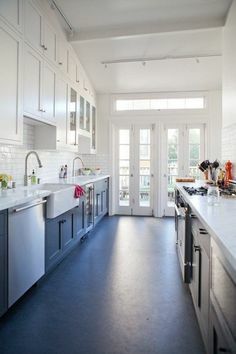 The most popular kitchen flooring of any material, vinyl sheet flooring is available in a wide spectrum of colors and patterns. In the last decade, a newer product known as luxury vinyl flooring has gained enthusiastic fans. 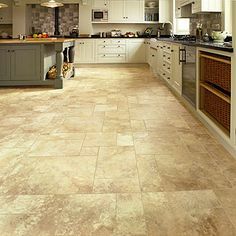 Made in tiles or planks, it is thicker and more durable than sheet vinyl, though luxury vinyl cost more per square foot. Our vinyl flooring guides cover both materials, designating them as vinyl or vinyl sheet flooring for the more common type and luxury vinyl flooring for the newer material. 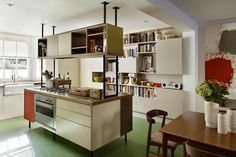 There are fewer linoleum options than there are for vinyl sheet flooring, but that is changing as consumers rediscover this environmentally friendly floorcovering which dates to the late 19th century. 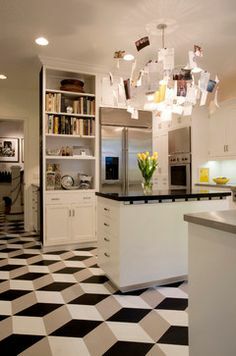 We’ve created a library of pages for these affordable kitchen flooring materials. They’re helpful for researching these materials and comparing them to your other favorites. You’ll find a similar set of pages for natural stone flooring, ceramic tile and solid wood flooring. 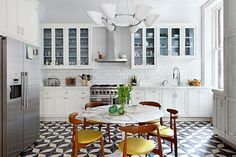 Vinyl and Linoleum Flooring Buying Guide: Explore the pros & cons, wear and durability, patterns and lengths, flooring prices and an FAQ section. Vinyl and Linoleum Flooring Removal and Installation Guide: Here is an overview of these topics so that you know what is involved whether you hire a flooring contractor or do the work yourself. Vinyl and Linoleum Flooring Repair Guide: These materials are susceptible to being cut or torn, so understanding repair issues might come in handy. Vinyl and Linoleum Flooring Price Guide: Discover all the details about price for the material, for installation and how to save money on vinyl and linoleum flooring. Vinyl and Linoleum Flooring Maintenance and Care Guide: If you’re looking for low maintenance and flooring that cleans up easily, these are outstanding. 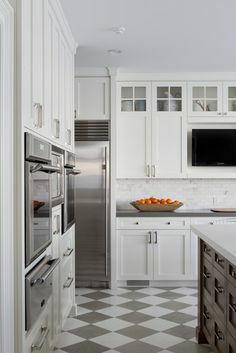 Find inspiration on our popular Pinterest page through beautiful pictures of these flooring types installed in dream kitchens like the one you are planning! You’ve got options when it comes to installing vinyl flooring and linoleum. If you hire the installer yourself, you’ll get the estimates, interview the contractors and sign a contract with the company of your choice. It’s the best way to get the lowest prices. If you hire a general contractor, or GC, for the work, he or she will subcontract the work to an installer they’ve done business with before. We can help you find an installer with good experience. The service offered on this site uses only dependable, pre-screened flooring installers. They know they’re competing for the work, so provide the lowest possible estimates. There is no obligation or cost to you for using this fast and convenient service. 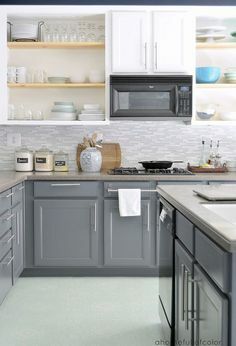 Enjoy our guides to every kitchen remodeling component including countertops, flooring, cabinets and more!